Aksharadhool: Flight AI161; a great job indeed! Flight AI161; a great job indeed! About a month ago, as the sectarian civil war broke out in Iraq, 46 Indian nurses working in the state run Tikrit Teaching hospital in the city of Tikrit, found themselves trapped in the sectarian war. As the news broke in India, there were wide spread demands to bring them back from the war zone, a formidable task by any standards. India's foreign office sprang into action and tried each and every way to achieve this. Four days back, the efforts bore fruit, as the militants controlling the Tikrit city decided to free the nurses. The nurses were asked to get into the bus and were moved to an undisclosed location near city of Erbil-the Kurdish regional capital. India's foreign office people were already there and were waiting at the border point of Autonomous region of Kurdistan and Iraq. After some confusion and misunderstanding, the nurses finally reached safety, where Indian officials were waiting for them. The nurses along with some other Indians, were planned to be evacuated from Erbil international airport and foreign office had entrusted this task to Air India, India's national carrier. We always view Air India in the negative. I have written number of blog posts about their service, punctuality, dirty toilets and poor cabin maintenance on board of aircraft and crew lethargy to give good and efficient service. This time however, the airline really rose to the challenge and brought the nurses and other Indians safely back home, a credible feat considering the fact that Erbil airport is located quite in the vicinity of the war zone. I find the story of how they did it, really admirable and would like to share it with the readers. Normally, commercial aircraft do not carry excess fuel because the weight of the fuel, further worsens the fuel consumption of the aircraft during flight. Keeping this fact in mind, Air India officials first checked whether they would be able to refuel the aircraft at Erbil. The initial response of Iraqi authorities was that Air India will have to pay cash for getting the aircraft refuelled there to fly back to India. However minutes later, they changed their stance and said that there will be no refuelling at Erbil as the jet fuel lines were damaged. This meant that Air India now would have deploy a long range aircraft and they decided on Air India's ultra long range Boeing 777-200 aircraft, fully tanked up with fuel for the rescue operation. The catering for the return flight was also arranged in Delhi itself. Air India put on board four experienced pilots — Captains Pankaj Agarwal and Atul Chandra along with co-pilots S P Sinha and Adhar Puri for the long journey so that one set could operate on the way out and the other on the return leg. The aircraft now bearing official flight code number AI161, finally left on midnight of 4th July 2014 for Erbil. "The Iraqi ATC was very polite when they informed us of denial of entry into the country. They said it was a decision by their 'higher up politicians'. It was later known to us that Erbil authorities were upset that India had operated this special flight by coordinating with DGCA in Baghdad,"
As pilots radioed back this to Air India authorities, alarm bells started ringing in Delhi. 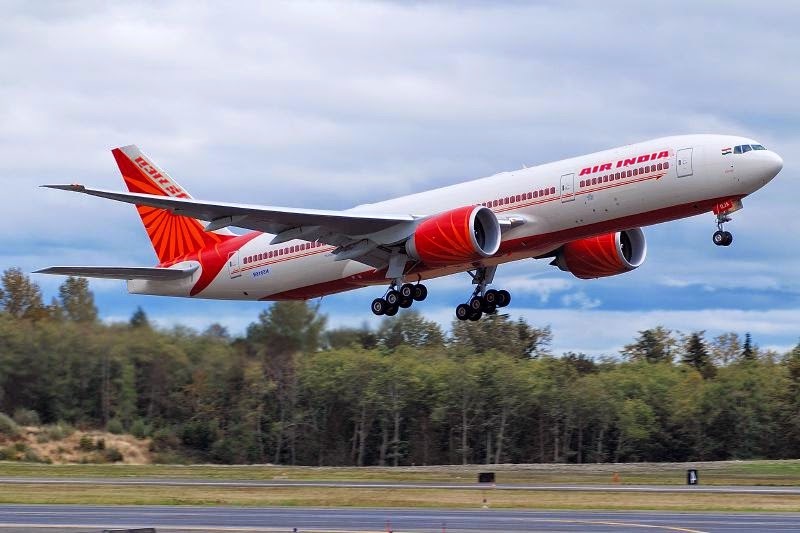 Air India informed about this sudden development to the Prime Minister's office and external affairs ministry, who swung into action and Air India flight was given the clearance finally to fly to Erbil. It landed there at 2.20 am on 5th July 2014. Originally it was planned that the aircraft would fly the return flight from Erbil directly to Kochi in south India, as all the nurses were from nearby areas. However considering the logistics, so that the aircraft would have enough fuel, the original flight route was changed and now it was decided to fly to Mumbai for which the aircraft had adequate fuel. Some ground staff from Erbil airport boarded the plane at that point of time. The pilots asked them whether it was possible to get the plane refuelled just to be doubly sure on safety side. The local staffers spoke to some people and told Air India that only a about 3,000 litres could be arranged. The pilots decided to take whatever fuel was being offered. As nurses and some more Indian wishing to return home boarded the plane, Kurdish authorities were quite amused to see so many people trying to leave because Erbil is a safe heaven and there are no war clouds over there. At one point, the local security officer asked Air India captain, why was he was forcing to take 30-odd Indian-looking people if they did not wish to go. He had to be explained about the real situation that the crew and Indian officials were trying to evacuate as many stranded Indians as possible. 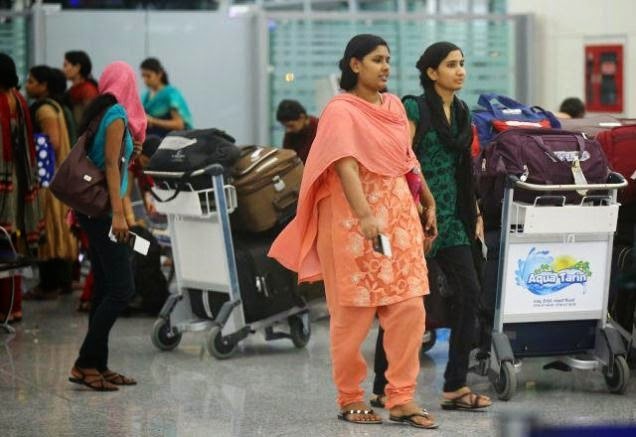 After staying on ground for 1 hour, the aircraft took off and on next day (5th July) the stranded Indians reached home safely, with 46 nurses alighting in Kochi, 73 stranded Indians in Hyderabad and 56 in Delhi. Kudos to the Air India pilots and crew for flying under uncertain conditions and showing presence of mind to recover from a situation, where they were denied entry into Iraq. The flight took 15 hours including 9 hours international flight, before reaching back its home base of Delhi. Total cost of the flight was Rs. 12 million, which will be reimbursed to Air India by Ministry of External Affairs . Besides this, the Central government has put in enormous efforts for the release of the nurses and others from the conflict zone. That also may have cost substantial amounts. But the cost is not important in such issues. What matters is that Government of India was able to bring back its citizens from a war like situation. This would boost the confidence of ordinary people traveling or working abroad, knowing that in case of real emergencies, Government of India would offer them a helping hand. Air India is likely to operate more such flights to Iraq in future to evacuate more Indians depending upon requirement.